1:00 AM high 2.9 ft.
6:59 AM low 0.4 ft.
12:46 PM high 3.0 ft.
7:26 PM low -0.4 ft.
How to reach: To reach the tidal bench marks from the intersection of U.S. Highway 41 and 5th Avenue South in Naples, proceed west on 5th Avenue South for 1.1 km (0.7 mi) to Gulf Shore Boulevard South, go south on Gulf Shore Boulevard South for 1.0 km (0.6 mi) to 12th Avenue South. The bench marks are located along 12th Avenue South, Gordon Drive, and 3rd Street South. 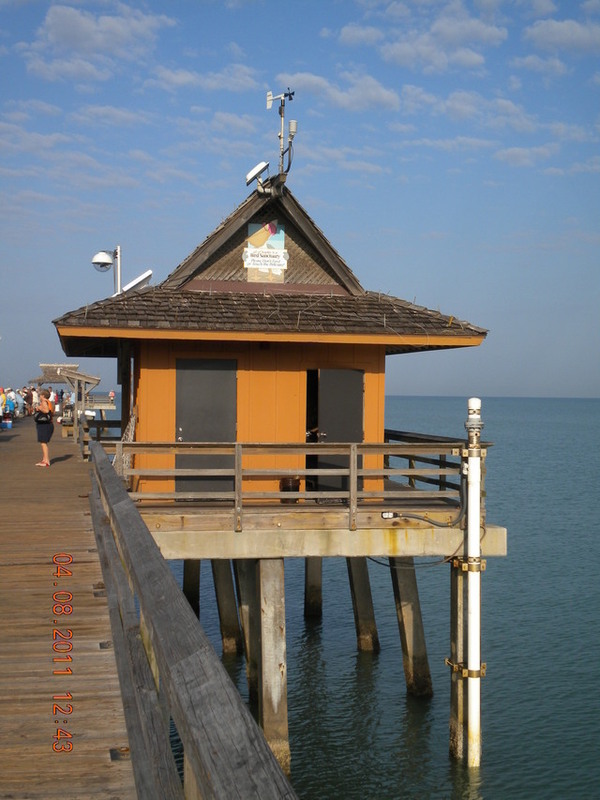 The tide gage and staff are located about half way out on the municipal pier at the end of 12th Avenue South.